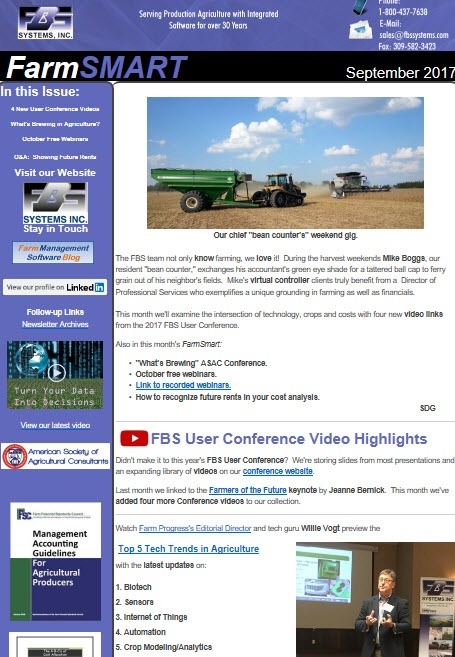 Published monthly since 2001, FARMSMART, the Journal of Computerized Farm Management, keeps you in touch with the latest trends in ag technology and farm management accounting. We also cover and link to news stories, upcoming events, seminars and educational resources. Don't be left out; enroll in this FREE service today! Click here to view current newsletter.